Following are rough sketches of several ideas. Any of these ideas could be taken further as drawings/ characters/ ideas. These drawings are meant to express the idea mainly, and how these ideas might look. I have made no attempt to design the text of the name here so please dont be concerned with the scrawls accompanying the sketches. 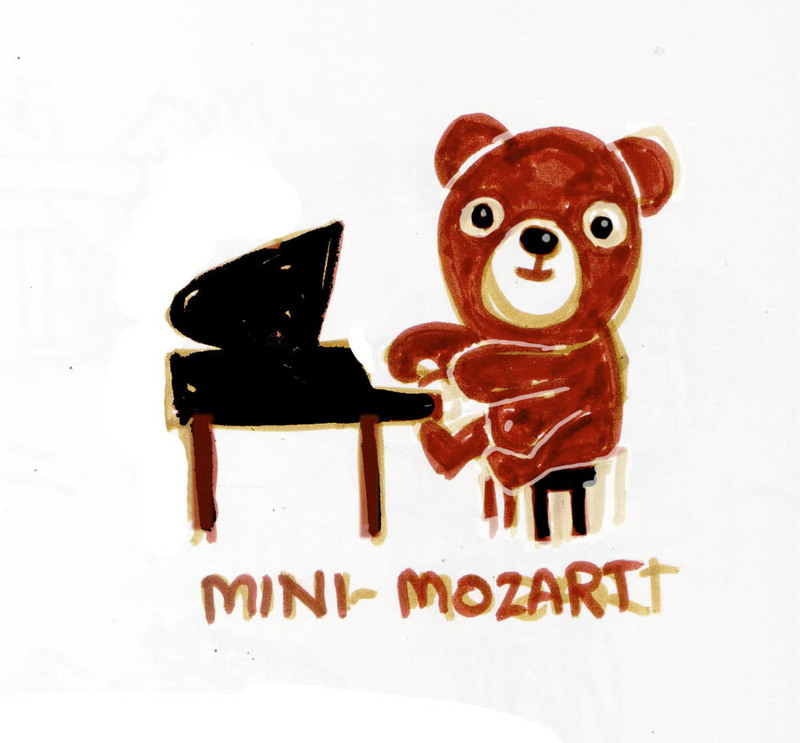 Also, although I only wrote "Mozarts" with an ‘S’ once below, I DO know that the correct name is "Mini Mozarts". If you find that the images are too large to see in your browser, clicking on them one at a time should make them fit. Have a look over these and give me a call to discuss. I wont be terribly reachable tomorrow (wednesday) but if you call me I could try to call you back. Otherwise I should be at my phone Thursday if that suit you. The crayon could be just a baton either. I like this image but I would imagine that a bigger kid might be put off going somewhere with a teddy bear on the sign.